EUGENE "GENE" BARTLETT The family of Eugene "Gene" Bartlett is sad to announce that he passed away on January 8, 2019, just four months shy of his 90th birthday. Gene will be lovingly remembered by his children, Gary Bartlett of Lakewood, Washington, Richard (Gina) Bartlett of Eureka, and Dessie Bartlett of Eureka; grandchildren Hannah (Greg) Fisher of Redding, Catherine Bartlett of Lakewood, Washington, and Nicholas Bartlett of Eureka; sister-in-law Donna (Larry) Auster of Arizona; nieces and nephews, Gail Bartlett Hodges, Barbara Bartlett, Mike Huff, Debbie Huff, Lynn Huff Enriquez, Greg Carter and Jeff Carter; his very good friend and companion, Joan Stockhoff of Eureka; and numerous great-nieces and great-nephews. Gene was preceded in death by his wife, Darlene Cummings Bartlett; second wife, Phyllis Cole Bartlett; father, Oral Bartlett; mother, Helen Murie; stepfather, Harold Murie; stepmother, Marian Shaw; brother, Allan (Claire) Bartlett; sister, Beverly (Phil) Huff; father-in-law, William Cummings; mother-in-law, Dessie Cummings; niece, Julee Bartlett; and nephew, Bill Cummings. As a child, Gene spent many summers at the family cabin in Big Lagoon and at the YMCA camp on the South Fork of the Eel River. He enjoyed hunting in the Snow Camp area as a boy with his father and uncles and later in life with his son, Richard. Born and raised in Eureka, Gene attended local schools, including Eureka High School where he graduated in 1948, and Humboldt State where he studied Biological Science. Gene was drafted in the U.S. Army and served in the Korean War from 1951 to 1953. 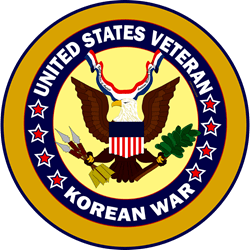 He was assigned to M Company, 3rd Battalion, 7th Cavalry Regiment, 1st Cavalry Division, and he received the Korean Service Medal, United Nations Service Medal, Army Occupation Medal (Japan) and Combat Infantry Badge. His time in the service was an inspiration to his son, Gary, who followed in his footsteps and served 10 years in the U.S. Army. In 1956, Gene married his sweetheart, Darlene Cummings. Gene's best man was Stan Cloney, his best friend (with whom he had earlier lost Grandpa Harold's Jeep near the South Jetty when the tide came in!) In their early years of marriage, while Gene worked for Pacific Bell, he and Darlene began their family with the birth of their son, Gary, in 1957. Gene became a California Highway Patrolman in 1959, working for a time in Crescent City where their son, Richard, was born in 1961. They returned to Eureka where their daughter, Dessie, was born in 1964. Gene had so many interesting stories to tell about his time in the CHP, a period of time that included the 1964 flood, where Gene barely made it out alive when he narrowly escaped the collapse of a bridge he was on over the Klamath River in the raging waters of the flood. He would talk about arrests he had made and interesting characters he met along the way, always pausing, with a gleam in his eye, waiting to see your response. If you didn't hear the whole story the first time, not to worry, he would be sure to tell it another day as if it was your first time hearing it. In 1968, following the dedication of the Redwood National Park, where Gene served on special detail, he received a commendation from the California Highway Patrol stating "You are hereby commended for the manner in which you participated in the recent activities associated with the dedication of the Redwood National Park and the motorcade carrying the First Lady of the United States. Secret Service Agents accompanying the First Lady were very complimentary of your efforts, stating that this was one of the smoothest details they had ever participated in." Years later, he performed traffic control during the 1984 Olympics in Los Angeles. Gene was a highway patrolman until he retired in 1987. Before their children were born, Gene and Darlene liked to go to Vegas where they would take in shows of some of the greats, like Frank Sinatra and Sammy Davis Junior. In later years, they and their children spent many summers water-skiing on Lake Shasta. Gene was also a lifetime member of the Elk's Lodge and the Native Sons of the Golden West, where he had just recently been for events and dinners. Gene was a big fan of sports, including the San Francisco 49ers and the San Francisco Giants, getting pretty crabby and yelling at the television when his teams would lose. He attended the seventh game of the World Series in 1962 between San Francisco and the New York Yankees where, unfortunately, the Giants lost 4-3. He also enjoyed local sports, attending many football and basketball games at Humboldt State, and watching his grandchildren, Hannah and Nick, play multiple local sports. After a years-long illness, during which time Gene lovingly tended to her every need, Darlene passed away in 1995. Gene later met Phyllis Cole, whom he married in 1998, and they began a new life together. Even though Gene had spent many years supporting his daughter, Dessie, in her love of horses, it wasn't until he met Phyllis that he was truly introduced to the world of horses, and they belonged to local riding groups, spending many days on the local trails and enjoying the camaraderie of other horse-lovers. They also went on many cruises and various trips. One of their favorite trips was when they loaded their truck and fifth-wheel trailer onto the flatbed of a train and headed down into Mexico. Sadly, Phyllis passed away unexpectedly in 2006. Years later, Gene connected with former fellow high school student, Joan Stockhoff, a lovely lady, who has been a wonderful friend and companion to Gene. They enjoyed going for rides in the country together, dinner dates, and good times at the Elks Lodge where they had many mutual friends. Joan was a devoted friend, visiting and spending time with Gene before and after he moved to Frye's Care Home in 2015. His family is extremely grateful for Joan and her friendship with Gene. The family would also like to thank Frye's Care Home for their excellent care of Gene in the past few years. At Gene's request, there will be no public service. However, his family will long remember the many stories he told about his time serving in the U.S. Army and in the California Highway Patrol. Maybe, hopefully, he shared some of those stories with you, with that same gleam in his eye.